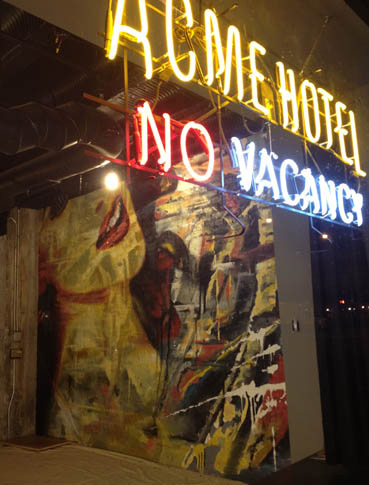 Welcoming guests to the ACME Hotel Company is a 12ft. wide by 9ft. 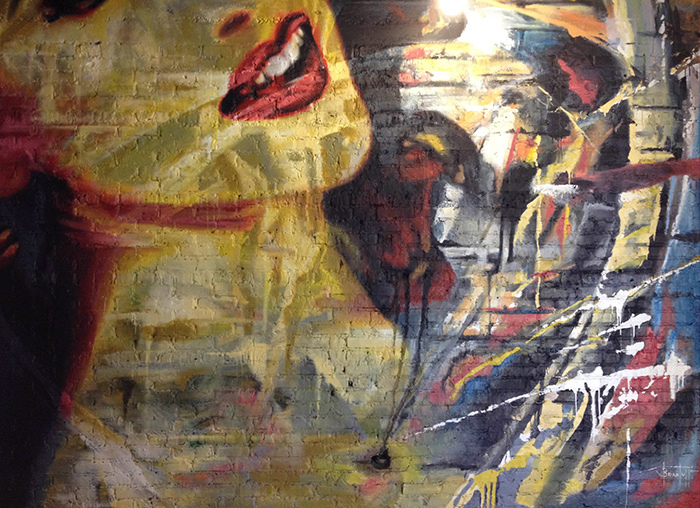 high abstract mural featuring model Lisa Luxe. 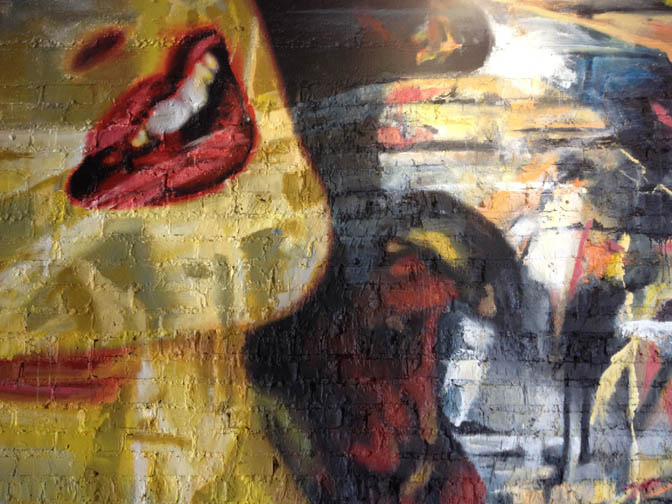 Painted on the original interior brick of the hotel lobby, I selected a figure that feels confident in celebrating her individuality; not unlike the hotel itself. The mural sets the tone for the entire ACME experience while seamlessly merging the nostalgic with modern, with an industrial, raw feel. As a contrast to my fine art, I chose to execute the mural in an urban, almost graffiti-like style for this hip boutique hotel. During June 2012 my wife and I made a road trip to Chicago completing the mural in just under a week. The best part was staying in ACME and experiencing the full realm of the exceptional hospitality and friendship that is provided to all guests. 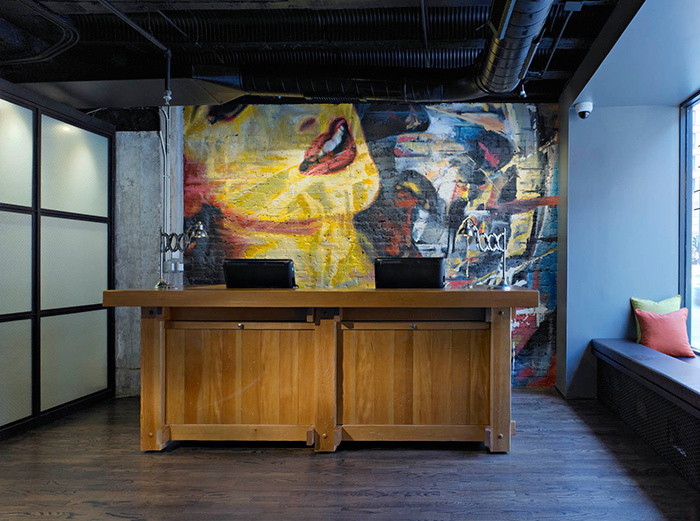 The ACME Hotel Company opened in Chicago in May 2012. Conceived, owned and managed by hoteliers Gene Kornota and Anthony Klok of Neighborhood Development Corporation, the hotel is positioned as an affordable lifestyle boutique that offers all the style and comfort of an upscale boutique, but at a price point that's palatable to the younger, gen-ex market, that thrives in this sort of environment.